Scrape away a bit of the luster of John Mayer’s album, Continuum, and the result is this modest gem. Acoustic renditions of some of Continuum’s strongest cuts reveal the grit behind the gloss, the structure behind the writing of a song. One song not included on Continuum but featured here is “Good Love Is On The Way,” a propulsive number Mayer frequently plays during his stellar live shows (and it’s also featured on the John Mayer Trio’s live album, Try!). Without question, though, the best performance on this collection is the sparse and dark version of “In Repair.” On Continuum, with a full-band arrangement, the song sounds languid and tame. On this set, however, it sounds like a feral confession, shadowed with remorse and only the slightest bit of hope. “I’m not together, but I’m getting there,” Mayer howls towards the end of the track. 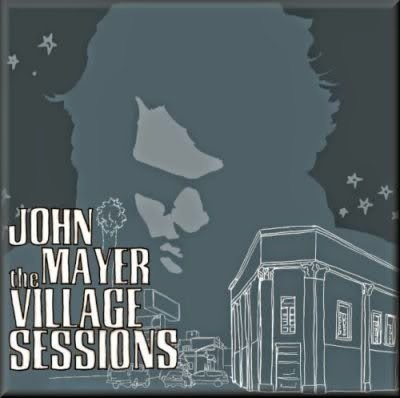 Ultimately, The Village Sessions illustrates John Mayer’s emergent skill at crafting songs that hold up under scrutiny and interpretation. And even with the electricity turned off, this guy can still make a mighty soulful statement with a guitar.